The first ever Experimental Archaelogy Conference was held at Wits University. Wits Palestine Solidarity Committee and South African Union of Jewish Students clash during Israeli Apartheid Week. UPDATED: Wits University has drops five places in overall gloal university rankings. Fake news was the crux of the of discussion during the State of the Newsroom 2017 report launch. These are the words of 2017 Businesswoman of the Year Award in Education and Wits Head of the School of Human and Community Development, Dr Mzikazi Nduna, at Wits Education campus on Tuesday evening. 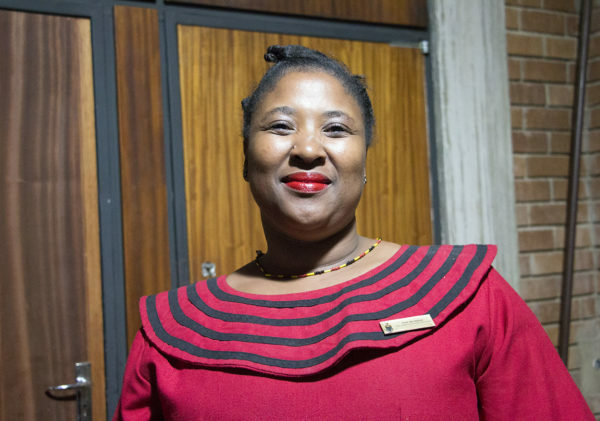 She was a guest speaker for a pop-up talk by the Wits Businesswomen’s Association Student Chapter (BWASC) as part of a financial literacy seminar organised by the Medhurst Hall residence house committee. Nduna was speaking to female residence students about the lack of women in the business and the importance of association. 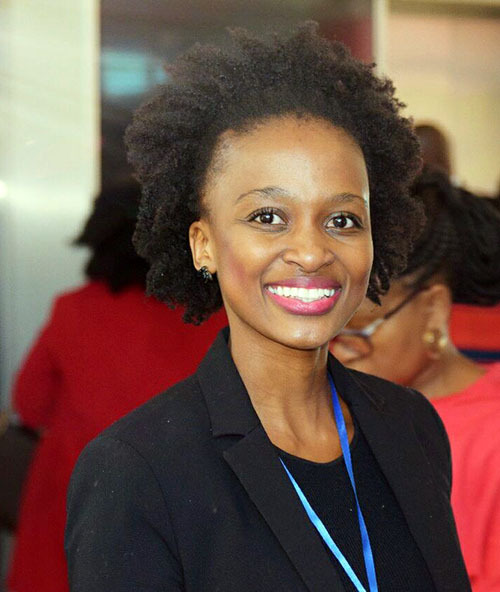 According to the BWASC chairperson and postgraduate LLB student, Boikhutso Mokoto, the pop-up talk is part of a series that will continue for the rest of the year. “It’s a good marketing tool but these ones are specifically for a recruitment drive and we’re just trying to rally up the numbers and get people signed up and introduce them to the BWA,” she said. Nduna spoke about the importance for students to make connections at university and to remember them for the future. “One of things that helps men and women succeed in their chosen careers or in business is the power of association. It is very important for you to think that the people that you meet in this university during your time here are going to be important to you in the next 10, 15 or 20 years,” said Nduna. “If you had started to connect with these people when you were in varsity, then you can be available to leverage something called social capital, which is the ability for us to come together and do things together. Social capital enables us to participate in platforms where we share information, knowledge, skills and advice and where we are able to start up associations and companies,” she added. The BWASC has been operational for a year and for 2018, plans to conduct initiatives that will be focusing on leadership, skills development and entrepreneurship for female students. It is also starting a mentorship circle. “What we want to do with the mentorship circles that we’re launching is to insure that as a third-year or fourth-year student, you can give someone the advice that you didn’t have and as a first or second year student, you can get through the system with less humps and bumps,” said Mokoto. The BWASC will be hosting a welcome evening on Thursday, March 1. The year 2018 has not only ushered in a new year for me but a new chapter in my life’s story. I turned the worn and tattered last page of the chapter called “Varsity Years” and dived head first into “Adulthood”. My first step into adulthood started with getting a tax number and finally moving out of the student-ridden Braamfontein after four years, and into an apartment in the Johannesburg CBD. The idea of moving out of Braamfontein had always been exciting to me. However, nothing prepared me for how I felt when the last bag was put into the moving van. My roommate and I were almost buzzing in the front seat of the van, optimistic about what the future would bring in our brand new “adult” apartment. Upon arrival at the building, all of our stuff was dumped in the living room. We moved our beds and bedroom furniture into our respective rooms and slowly the living room became emptier and emptier. Once the last box had been unpacked, it dawned upon us that we had absolutely no furniture to fill up the very big living room. Our brand new adult apartment did not necessarily look like one because we didn’t have “adult” furniture. The idea of myself as an adult had always looked glamorous to me. I always imagine myself with financial prosperity and a booming career; complete freedom and independence from my parents and going out to brunches with my friends. All of this would be wrapped up in a nice bow that is a chic apartment with modern decorative pieces. These were all finish line thoughts. I never sat and thought of the realities of how my life would look like at the beginning of the marathon that is adulthood. When I look at it now, I realise that the reality looks rather similar to my living room. The reality is that, like all things in life, my living room requires patience. I need to be patient enough to save up for furniture and the kind of life that I want to live. I need to not rush myself into making detrimental financial mistakes. I cannot make the same mistake as our parents, who were so quick to want success, that they dug themselves into a hole of debt. I need to think smarter and do better. Just like my living room, becoming an adult requires time and patience. It requires constantly working and late nights. There will be many nights where all I want to do is unsubscribe to adulthood. There will be mornings when I’ll want to revert back to my student days without the worry of money or work. There will be a lot of falling down, getting back up and falling down again. But these challenges are all part of being an adult. There is a lot more dragging my body through the trenches than cute brunches with my friends. It won’t be easy and I’m not sure if I’m 100 percent ready for it, but I have no choice but to pull myself up and get on with it. In the meantime, I will not be deterred. I will get creative, learn as much as a I can and take my time. As for my living room, it currently still doesn’t have furniture. However, my roommate and I got a little creative. We gathered all our throw and picnic blankets and cushions and made a pillow fort in front of our very small media stand and television. When we are not at work, you’ll catch us lying on the floor of our living room, cups of tea with lemon slices not far away and watching reruns of Archer until we fall asleep. Life Esidemeni tragedy at the centre of art and essay competition hosted by WSBS ahead of big faculty symposium.